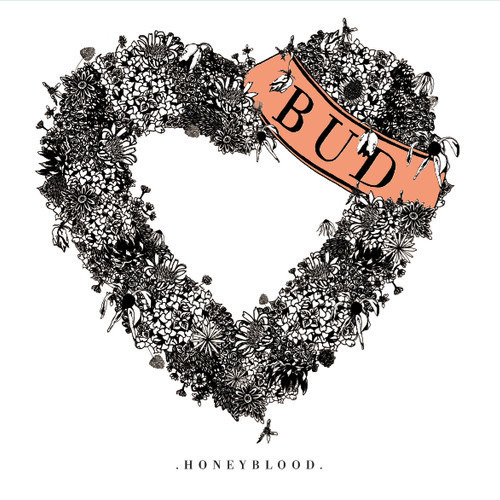 Taking inspiration from bands like Rilo Kiley and musicians like Loretta Lynn (with a contemporary callout to Zooey Deschanel's treacly singing with She & Him), Glasgow's Honeyblood are a standout among direct song-to-heart artists. Their debut single, a cloying and sweet “Bud”, is endearing in its two-piece command, and with production from Palma Violets' Rory Attwell, the spaces that need filling get filled with jangly guitars and heavy-emphasized tom beats. The chorus reaches shout-along pinnacles above and beyond the cloudy sky, and there's no doubt a live show from the Scottish duo would be as exciting and heart-stopping as the song itself conveys through tonal pleasantry. This is Honeyblood's first single, which will release on FatCat Records alongside “Kissing On You” this October 22.